Got back from South by Southwest a week ago, after a trip that took about 36 hours. We've chronicled the whole thing on our Journal page, but you can just click [ here ] to get started. 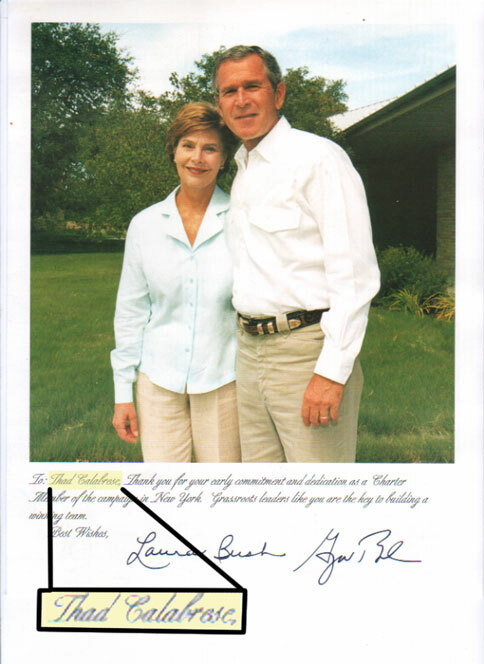 Whoever is resonsible for signing us up as supporters for the Bush/Cheney re-election campaign, we take our hats off to you. Any time either of us gets something in the mail, we are cracking up. Justin got one of these, too. For the record, we are withholding our support for anyone until we ascertain who will provide the most "pro-Austerity Program"* environment in their administration. * tax breaks NEWS ARCHIVES .